FNA – Figures show that Iran’s total government spending on defense seems insignificant compared to the huge military budget of the US and Middle Eastern countries. 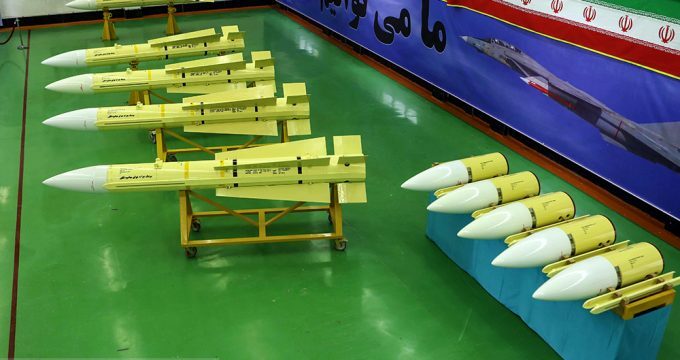 Iran has allocated 3.2% of its budget in the current Iranian year (March 21, 2018 to March 21, 2019) to military spending. This is while the Persian Gulf Cooperation Council (PGCC) military spending will climb to a record high next year, with Saudi Arabia and the UAE expanding their armed forces, participating in different wars in the region, including Yemen, and supporting armed groups against other regional states like Syria and Iraq. According to an IHS Markit report released in September, increasing budgets in Saudi Arabia and the United Arab Emirates (UAE) would result in an expected $100 billion to be spent on defense by the PGCC in 2019 alone. Extortionate military spending is not new to the PGCC, which has been responsible for nearly one quarter of all global defense imports since 2014, valuing at $56 billion. This year, military spending of both Riyadh and Abu Dhabi grew by six percent. Despite the extensive growth, both countries still anticipate boosting their military industrial bases, which is drawing concerns as both countries enforce authority across, as per their foreign policies. The total government spending on military and defense of a number of regional states and the US are as follows as reported by the Stockholm International Peace Research Institute (SIPRI): Belarus: 25.3%; Oman: 26.3%; Saudi Arabia: 30.4%; Sudan: 30.9; Turkey: 6.4%; Georgia: 7.5%; Kyrgyzstan: 7.8%; US: 8.8%; Iraq: 9.4%; Azerbaijan: 10.4%; Kuwait: 11.3%; Israel: 11.5%; Bahrain: 11.8%; Russia: 12.%; Armenia: 15.5%; Lebanon: 15.6%; Jordan: 15.8%; Pakistan: 16.7%. This year, India surpassed France as the nation with the fifth largest defense budget. Since 2008, India’s military spending has increased by 45 percent while France’s has only increased by 5.1 percent. The US military spending has remained constant for 2016 and 2017. By far the biggest increase in military spending over the past decade has come from China. Since 2008, Beijing’s defense budget has skyrocketed by 110 percent. Among the other top fifteen spenders, the next biggest increase was 46 percent by Turkey. One of the biggest surprises in the new SIPRI data is the precipitous decline in Russian military spending. “At $66.3 billion, Russia’s military spending in 2017 was 20 percent lower than in 2016, the first annual decrease since 1998,” SIPRI reported. Regardless, Saudi Arabia still overtook Russia as the nation with the third largest military budget. Although Riyadh’s military spending had temporarily decreased in 2016, it has mostly been on the upswing in recent years. Overall, Saudi Arabia’s military spending increased by 9.2 percent last year. This was actually higher than the 6.2 average increase for the Middle East as a whole. Saudi Arabia spent roughly four times as much as Iran on its military last year. The amount the US spends on its military is far higher than any other country in terms of total dollar amount. Middle Eastern countries also spend a high proportion of their budget on military. “Despite low oil prices, armed conflict and rivalries throughout the Middle East are driving the rise in military spending in the region,” said Pieter Wezeman, Senior Researcher with the SIPRI AMEX program.